The Sensory Profile 2 standardised assessments can be administered from birth through to 14 years 11 months. There are various assessment forms for each age range and includes a school companion questionnaire. Determining the need for Occupational Therapy from a sensory perspective. Gaining information to help form an intervention plan and create a baseline assessment. Identifying the need for sensory equipment. – Manifestation of “hyper- or hypo-reactivity to sensory input or unusual interest in sensory aspects of environment” (American Psychiatric Association [APA], 2013) within the Diagnostic and Statistical Manual of Mental Disorders (5th ed. ; DSM–5). Our sensory assessments consist of assessing how the individual copes with sensory information daily and how they manage various environments. Assessment will include an observation as well as taking a history profile from parents, family members, and/or school personnel. We also offer the Adolescent / Adult Sensory Profile which is designed to measure sensory processing patterns for individuals aged 15 years through to late adulthood, and how their sensory difficulties affect functional performance. The sensory assessment can be completed in our Cardiff clinic, at home, or at school. Following the assessment, the Occupational Therapist will explain the findings from assessment and provide a sensory profile report with recommendations. We may administer the Sensory Processing Measure (SPM) measure instead of a Sensory Profile assessment to assess sensory functioning at home, at school, and in the community. Joanne is a Specialist Paediatric Occupational Therapy Consultant working with individuals of varying conditions including autism. She has a keen interest in behaviour management, motor skills, handwriting, early intervention and mental health. 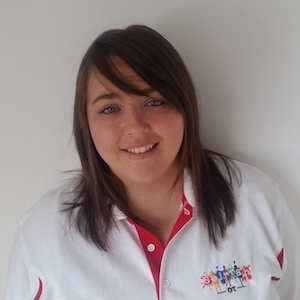 Joanne is a fully qualified LEGO®-Based Therapy practitioner.